this post is an excerpt from the book Diamond Leadership. …The initial purpose of this book, and the significance of the processes described in it, lies in the creation of a Macedonian society that will be characterized with exceptional values in our national culture/s, together with the innovative and creative performance of our citizens, institutions, and companies, at all levels – from sport and culture, to politics and business, to new models of global leadership. These processes, when supported and implemented, could take Macedonia from the current dire socio-economic position, to having a world class leadership team; from being a mediocre economic performer, to becoming a lean speed boat. The methodologies and tools that are mentioned, used and proposed in this book are currently applied globally, at both the individual and organizational level (companies, cities, and nations), regardless of the size of the organization. Full Name: The Republic of Macedonia, one of the successor states of the former Yugoslavia. 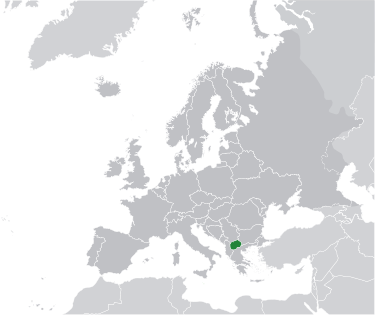 Geographically, Macedonia is placed in South-East Europe in the heart of the Balkan Peninsula. GDP Per Capita (Nominal): US $4,589 (World Bank, 2012). Macedonia ranks in the 83rd place in the world in this category. Official Unemployment: Remains high at 28.6% (2013 Q4), but may be overstated based on the existence of an extensive gray market, which is estimated to be more than 20% of the GDP, but is not captured by official statistics (CIA). Foreign Direct Investment (FDI): Has so far lagged in the region, despite extensive fiscal and business sector reforms (CIA). Despite the extensive governmental campaign and support for FDI, Macedonia is one of the poorest performers in this area in the Western Balkans and South-East Europe. Average Salary in June 2010: 330 euro. This ranks Macedonians among the lowest earners in Europe. Main Exports: Food processing, beverages, textiles, chemicals, iron and steel, cement, energy, pharmaceuticals. Macedonia is the first country in South-East Europe that has made an assessment (precise diagnosis) of its own values ​​and its national culture. This makes Macedonia one of the few countries in the world that have embarked on such a process, and puts the country in the position of being a regional leader and equitable global player in this important transformational and evolutionary process. The process of measuring and managing culture in an organizational context is named organizational culture transformation. The same process on a national level can be named national culture transformation. Therefore the measurement made in 2009 began the unstoppable process of national culture transformation in Macedonia. The values assessment was ordered by the client USAID Macedonia, and delivered by the consultancy COACH ERA, together with the world leader in this field, the Barrett Values ​​Centre. In April 2009, the assessment began by measuring the values ​​and culture of citizens in the Skopje region. This region has 18 municipalities and includes over 550,000 people from urban and suburban communities around the capital. Given that Skopje has almost a third of the total population of Macedonia and is a smaller version of the country, this regional measurement can be considered to also be a national one. For the assessment, we used one of the tools from the palette of Culture Transformation Tools (CTT). These tools were designed in the last decade of the 20th century by Richard Barrett, and represent a cutting-edge technology in the process of measuring and managing leadership values ​​and organizational culture. The CTT were originally designed to be used in the business context, primarily to help leaders to align their organizational strategy and culture with the values of the executive leadership team. In the past decade, since they have proved to be excellent for this purpose and have been used by over 6,000 companies in 90 countries worldwide, the CTT have begun to be used on a regional and national level, to measure national cultures as well as help the processes of national culture transformation. Australia, Belgium, Bhutan, Brazil, Canada, Denmark, Finland, France, Hungry, Iceland, Latvia, Nigeria, Singapore, Slovakia, South Africa, Sweden, Switzerland, Trinidad and Tobago, Turkey, United Arab Emirates, UK, USA, and Venezuela have all undertaken a national cultural measurement (some of them repeatedly). 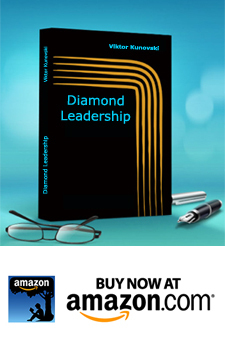 The Diamond Leadership book is available on Kindle .